Beer isn't the only great liquid that flows from the Midwest. 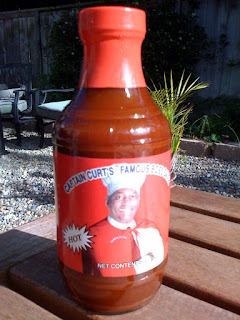 Captain Curt's Famous Boss Sauce, straight outta south Cottage Grove Road in Chicago makes what is arguably the best BBQ sauce in the world. Check out his site here. Thanks for the gift, brother Dan!